It’s Monday, which means it’s time for another round of “Dear Mark” questions. Now that I’m no longer doing Workouts of the Week, maybe I’ll have time to get to more questions than before. For now, I’ll play it by ear and see how things go. Today, we have a question from a coconut oil-intolerant reader wondering if whole coconut, which he can consume, is just as healthy as the oil. Another reader suffers from plantar fasciitis, which flared up after going barefooting, and wants help fixing it. I also field a question about drinking seawater for the minerals, which, believe it or not, I’ve considered in the past (but a better solution popped up, thankfully). And finally, I try to help a reader with a bottomless pit for a stomach. Is eating the whole coconut as beneficial as eating the oil? I have candida and I’ve read that coconut oil helps eliminate candida. I just don’t like the taste very much and sometimes it upsets my stomach. I still eat it but I also eat coconut butter, the young coconut meat and dried coconut (I rehydrate it first). Also does the whole coconut contain the same weight loss benefits? As a general rule, eating a whole food is superior to extracting and consuming a constituent of that same food – especially if the particular constituent upsets your stomach and tastes terrible! The coconut is no different. What sets whole coconut (or whole coconut products, like butter and meat) apart from the oil is primarily the fiber content. Coconut meat contains a lot of fiber, over nine grams in a 100 gram portion. In vitro studies (PDF) that sought to replicate human colonic flora found that coconut fiber was fermentable by that flora into butyrate, which is a short-chain fatty acid with many beneficial metabolic effects (it improves insulin sensitivity and lipid numbers, to name a couple). That same PDF shows research in which eating coconut flakes (meat, fat, and fiber intact) lowered LDL and triglycerides in both men and women. All that said, whole coconut isn’t a miracle, magic food, but it’s certainly just as beneficial as coconut oil, and perhaps more so. And if it’s all you can stomach, go for it. I am very athletic. Years back I started wearing orthotics thinking they would help my knees… wrong. They just made my lower back, hamstrings & knees be in constant discomfort. Luckily the orthotics broke in half and instead of replacing them I tried the barefoot shoes. After wearing only those types of shoes for almost 2 years now and loving them, I have gotten plantar fasciitis. I wear the boot, do the exercises & ice my foot several times a day. I still exercise, but am in pain. I’m not sure what to do next. Help!! Before I say anything about joint or limb pain, I usually check to see what Kelly Starrett has said on the subject, because he’s usually covered it and has an article or video explaining what to do about it. So, has K-Starr failed us this time? Nope. He’s got a great 7-minute video exploring multiple ways to tackle a case of plantar fasciitis. I’d suggest you watch the video and do all the drills he shows. It’s free, and the only equipment you need is a lacrosse ball. After your foot is feeling better, start all over with the barefooting. Don’t run, walk. Read my guide to making the barefoot transition so you don’t go too fast and start back at square one. I suppose this is also a good time to point out that while we love barefooting and feel it’s the best way to get around, it’s not a cure-all. It can reduce or even eliminate knee, hip, and foot pain, but only if you are walking correctly. Going barefoot can’t overcome poor form, bad posture, tight hips, or underactive glutes. The whole package matters, so work on the other stuff, too. Good luck! Someone shared a post about using seawater as a supplement. It hadn’t occurred to me before but it resonated. After all, there are a bunch of cool minerals in seawater. Maybe there isn’t a need for this “supplement” if you’re eating “primally” but it has the ring of something we would try. Heck there was that post recently about eating dirt. Yet my internet searches turned up very little information. What say you? Water, water everywhere… I think I will drink a drop? If it’s the minerals in seawater you’re after, there’s a supplement for that. I’m a big fan of Concentrace Trace Mineral Drops, which is extracted from Utah’s Great Salt Lake. You can buy it on Amazon for fifteen bucks or so. The drops taste awful if you take them straight, but I’ll sometimes add a few drops to a glass of sparkling water and add a slice of lime. Or you can add a teaspoon to a full gallon and go from there. I find you can add drops to strongly flavored stews or chilis to boost the mineral content without anyone being the wiser. Whatever you do, I find taking the mineral drops highly preferable to drinking straight up sea water. It’s the same stuff, after all, straight from the source. But be careful. I wasn’t lying about the taste. As a teenager (18), I was always hungry. 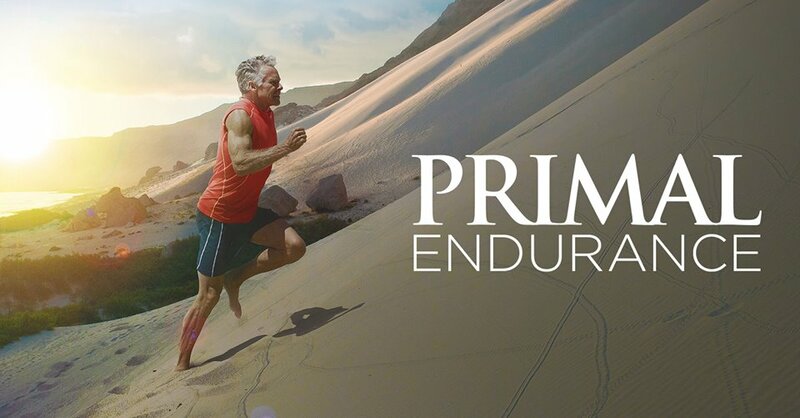 It wasn’t until I started eating primal that I was ever satisfied. However, some days (especially days after lifting) I still feel like I could eat anything. 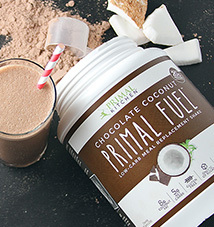 My question is: How does primal nutrition fit into a teenagers life in terms of calories and hunger? I have a very active metabolism and could eat a dozen eggs or fistful after fistful of nuts and not gain weight therefore making it hard to determine what i really need. 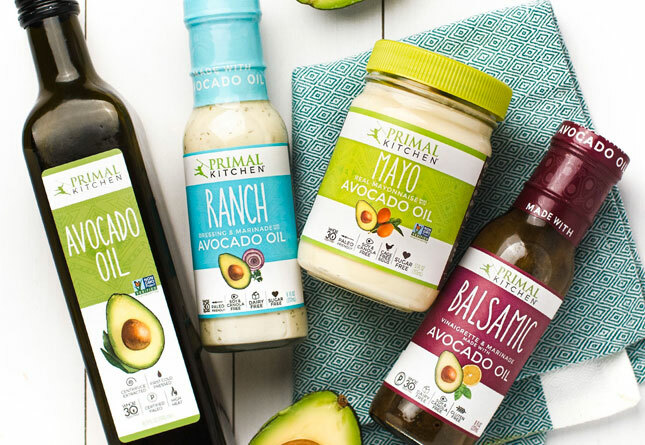 Also, do your kids follow primal nutrition? Some people (especially males), in some situations (like adolescence and when lifting weights), simply require far more calories than the average person requires to maintain weight. That’s totally fine, and I bet most people wish they had your problem. It sounds like you’re very active. This is good, but it means you need more calories, and, depending on the nature of your activity, you may do better with some Primal starch sources. As long as you’re getting plenty of animals, fat, and low-carb vegetables in your diet, consider adding in yams, sweet potatoes, regular potatoes, and perhaps some winter squash (butternut is great). Eat starch post workout and you may find your hunger is better sated. If you’re lifting and exercising with a high amount of intensity, it may also fuel your recovery and improve performance. Savor this malady of yours while you still have it. As for my kids, my daughter is omnivorous and my son is a lacto-ovo vegetarian and eats eggs nearly every morning, as well as using protein powders with whey to supplement. Both follow basic Primal principles, with a bit of wiggle room, of course. The big bad guys are for the most part out, though – gluten grains, refined sugar, and vegetable oils. They’re healthy, happy, and active, so I’m not worried. That’s it for today, folks. Take care and thanks for reading! I’ve never even thought of drinking sea water. Bleh. Of course, if you hang out in the ocean enough you’ll drink a decent amount over your lifetime and get your trace minerals in little increments. Yep, hard to avoid the occasional swallow if you spend any time with your mouth/nose underwater. It’s always an unpleasant experience though! thank you mark for answering my question. 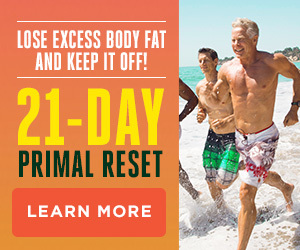 i am pretty active but i never saw results until i started the primal lifestyle so i thank you for that too. my only question is how does eating a starch like a yam differ from eating something like a banana? There isn’t much difference from the starch of a yam or a “unripened” banana, actually they are pretty much the same glucose, however a very ripe banana one that actually begins to show brown specs on the skin will contain largely more fructose, that will be quite different reaction to the body, not all sugars are the same or behave the same way. I always worry a little when I think of my two little boys becoming big teenagers!! I feel like I may be shopping at Costco twice a week!! LOL But making sure that they learn Primal principles now will hopefully set them up to make the right choices later. Go to know that I can encourage things like yam and squash for their crazy active metabolisms!! Thanks! When I was in High School I was encouraged to eat a lot of junk after working out by my football coach in order to gain weight. I have since changed that habit and find my body craves much less food and I actually feel better indulging in chicken and broccli rather then something high sugar or fried. Im excited to teach my kids, one day, the importance of what you eat to set up that good foundation. I have been using the Concentrace Mineral Drops for well over a year now, I love the stuff. It definitely had a strong bitter taste back when I first started using it- but strangely enough, I eventually began to like the flavor. It almost took on a complete different taste, almost like milk or something. A coworker of mine had this same experience as well. You don’t need to drink seawater to get mineral benefits- many minerals can be absorbed transdermally. Magnesium in fact is even more absorbed this way than orally. I LOVE Concentrace. A health store in Canada recommended it to us as an after-ski electrolyte replacement (added to water)((we were looking for something without sugar)). I put 10 drops in a glass of water after I exercise, and I love the taste! Sea water… I’ve never thought about drinking this intentionally! But, I have had the thought of taking a glass and gathering water in the form of rain drops… what do YOU think about this idea? Rain from a rainforest is probably as clean as it gets… right? My guess would be no. The only reason is because of all the pollution in the air. Being from the Los Angeles area and constantly seeing all the smog in the air, the last thing I would want to do is drink something that comes from it! If I were in the rainforest however, that may be a different story! Weather is global. While the smog/other particulates may be visible over LA (or China, more importantly for us West Coasters), it gets into the upper atmosphere. Once it’s there, due to neat things like aqueous adhesion, those particles are gathered into rain drops. When they fall, regardless of where, they probably have stuff in them. Not that I’d be SUPER worried about it – it’s at least as clean as what you’d get out of your faucet (which can be filled with all kinds of neat stuff, including prescription medication). Unless your area has serious problems with acid rain, I’d call it good. Remember – breathing is 100% fatal. If you spend your time worrying about what you can and can’t do, or what is and isn’t good for you ALL. THE. TIME. then you’re going to miss the most important part of life – living. Get born. Live life. Drop dead. Can I quote this for my facebook fan page? Regarding the last question, I find it very helpful to add a protein shake or two into the mix (from good protein mix of course!). I am also very active and enjoy lifting and feel many times like I can eat a ton. Good quality protein with some coconut milk and a few berries is very satisfying and makes you feel great afterwards. Just be careful on the type of protein shake you buy. For example, Marks protein shake is much better for you than the cheap $30 dollar bottle you can buy. The difference is incredible and the results will show! Or if you’re really brave, get a good wedge of ox liver, blend it smooth, heat in a saucepan with some Celtic Salt and a little tomato paste, reblend, drink!..Then some milk kefir with raw eggs, and some dark chocolate, not least to give your tastebuds something more pleasing to dwell on after…. Though because of the amount of Vit A in liver, you have to make sure you get enough D to balance it. If not from the sun, Vit D drops is an option. And how do you know which source is good? I’m not being flip… I’m just wondering what makes super brand A better than my Wal-Mart whey and if it’s actually worth the additional cost. Plantars fasciitis is awful. I agree with Mark the only way to fix it is to back way off intensity with running. It will heal itself but you have to be patient. It stinks but that is the only fix. There is a much better and faster way to cure plantar fasciitis. Typically it’s caused from a neurological issue. Could be an old sprained ankle, concussion, spinal misalignment, even a food sensitivity. Eliminate the source and the symptom will go away. If you want it even faster, find Arpwave. Usually I have this completely re-leaved in less than a week. Good luck. The reason people get PF is that their calves are tight and really pissed off at you for whatever new or strenuous activity you did to them. I would bet that he overdid the barefoot running too soon and is paying the price. Stretching might now even help…..you may need to see a PT or chiropractor who specializes in myofacial release and/pr Active Release Technique (A.R.T). Thanks for the tips on plantars fasciitis. I will send them to my mother-in-law who has to spend her days in supportive shoes with special inserts. She is in too much pain to go barefoot. Maybe this will help! The key to treating this is to release the muscles of the calf… As an acupuncturist, I have treat this many times. Treating just the foot alone does not help much. Needling and releasing the calf muscles has a direct affect on the achilles tendon. The technique I use is called Motor Point Needling. I hope this is helpful. Crunchy, see my reply at the bottom of this thread. Regarding PF, I got it really bad all of a sudden several years ago. I went to an orthopaedic surgeon, and we tried all kinds of remedies, including splints, shoe inserts, physical therapy, exercises, stretching, etc. Know what worked? Bio-identical hormones! 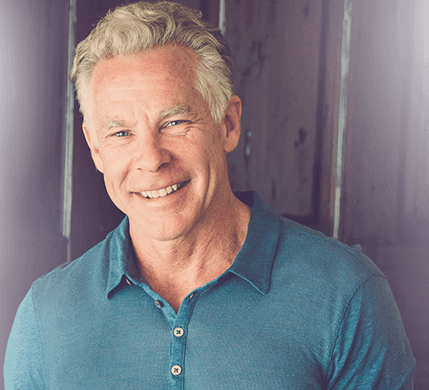 I was in menopause, suffering from terrible night sweats and hot flashes (and mood swings, and, and, and …) and finally got a doctor to prescribe bio-identical hormomes from a compounding pharmacy. Within about 3 days of starting the hormones, my PF disappeared and hasn’t returned. Strange, huh? Afterward, I looked in some of my books on menopause, and they said that PF and heel pain is often a symptom of menopause. Whodathunk? Can’t say it will work for others (especially males, and females not in menopause), but I wanted to share because it worked like a charm for me. I don’t think drinking sea water would be a very good idea, unless you can find a pristine source for it. When I’m working, I work on yachts and you do not want to know what goes into the water. For instance, if your vessel is 3 miles from shore, you can legally pump raw sewage into the sea. Not every boat waits to get 3 miles offshore. Trust me. There is much more nastiness that goes into the ocean. I have a friend who has a business cleaning and inspecting the hulls of boats while they’re in the water. He takes antibiotics daily just so he doesn’t get sick from what’s in the water in which he works. Yuck. I’m wondering why using sea salt wouldn’t be as good as drinking sea water or using the nasty drops. With plantar fasciitis the key is to loosen the muscles of the calf. Deep tisue (and often painful) massage until that calf is jello. You can also press and hold (sort of acupressure) on the painful spot(s). About 30 seconds each spot. Add in some nighly hot water and Epsom salt soaks, and you’re plantar fasciitis will be gone in as quickly as a week! I wonder if the VFFs were the cause of Jane’s plantar fasciitis. 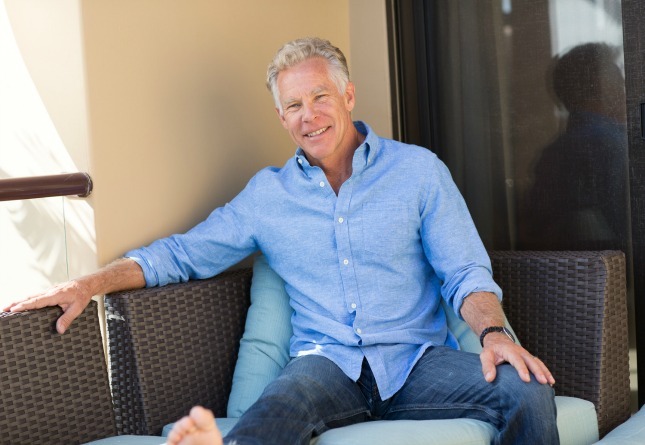 I had plantar fasciitis BEFORE I started wearing VFFs and after a couple of years running in VFFs the PF went away – I credit the VFFs completely. Same here Pat, using VFF’s, along with some good stretching of the calf muscles and the toes at the same time, I relieved myself completely of plantar fasciitis! @Jane – One of the keys in treating plantar fasciitis is to release the soleus and gastrocnemius muscles of the calf… I am an acupuncturist, and have found that by releasing these muscles, one has a greater degree of being free of this… I does not work to treat the foot alone. Oh, and beware the coconut. A lot of fiber is an understatement. I ate a half a coconut for breakfast one day with some blueberries and coffee and it totally cleaned out my system. A bit unpleasant. I once did a case where we had to remove about a foot of a patients colon. After I looked at the contents of the removed portion, the doc told me she had ingested almost an entire bag of shredded coconut, and sure enough, there it was (except now green). Coconut does not digest well, and it got stuck in a diverticulum, cutting of circulation, so we had to remove that portion. I also had another case where just a little coconut got stuck in the patients esophagus. All he had done was put some on his ice cream. The lesson here is don’t overdo coconut. Chew, chew chew! And not too much at one time. I have mild ulcerative colitis and can well believe your story. Coconut is extremely difficult to digest for those of us with digestive issues. It’s very fibrous and inevitably triggers a flare. If I stick to a little bit of coconut milk in my chai, or use coconut oil to cook, I’m okay. However, the flesh in any form is a recipe for disaster. Sad, given how much I like coconut! We just got back from a week at the beach with our 18-month-old, who was OBSESSED with drinking the seawater. We joked all week about him having a vitamin deficiency, so it’s funny to have this be a Monday morning question! I have an 8-year-old who has dramatically upped his food intake in the past year, which has me very nervous about my grocery bill–and his health–in the coming years. I’m so glad to see that question addressed as well. He loves potatoes (and he’s pretty skinny and almost always hungry) so I’ll keep feeding him those without fear of wrecking his primal diet. Just peel the potatoes. Don’t be shy about it either, as you want to cut at least a few millimeters in to get all the chemicals the potato produces to deter predation. Sweet potato, cassava (yucca, tapioca), taro, and yam (name) are also good. Also plantains as long as he can digest resistant starch. I thought for years that I suffered from Plantar Fasciitis. At one point I was in a wheelchair. Had a back treatment for a ruptured disk and my plantar faciitis went away. Podiatrist confirmed that back problems can cause foot pain like plantar faciitis. When my feet first started hurting – no back pain. Oh, and the orthopedic specialist I had at the time claimed he didn’t know the back could cause foot pain. I have since changed orthopedic doctors. I like eating chunks of coconut, but I’m working on leaning down, so coconut oil’s other plus (for ppl in my camp) over the actual coconut is the lack of carbs. For that reason, I don’t it eat as much until I’ve leaned down more. I had plantar fasitis really bad. A friend of mine said to walk backwards on a treadmill. That did the trick. All gone and never came back!!! Flat treadmill or any incline? I will try this, thanks! I ingest sea water regularly in small amounts from my RAW dried seaweed that I put in my home made Thai Soups. They pull the seaweeds out of the water and hang it up to dry. Done. In the forums, I get so tired of a few people announcing that you can’t be primal unless you eat lots of meat. I always point out that only Mark decides what is primal and that he doesn’t take that attitude. I’m really interested in what your son eats. Especially for protein. I’m all about eating primally but my boyfriend is vegan. I’ve been trying to think of primal friendly vegan meals. It ain’t easy. I am very supportive of primal vegetarians, despite thinking they are misguided. But strict veganism will kill you, sooner or later. Read The Vegetarian Myth by Lierre Keith. Veganism destroyed her health and nearly killed her. Being a primal vegetarian is hard enough, but being a primal vegan is near impossible. Without at least having eggs, dairy, and butter you cannot get enough of the necessary fatty acids (such as CLA) without supplementing, which may come with possible negative side effects. Another vegan conundrum is how to get enough protein without supplements, grains, legumes, or copious amounts of nuts. 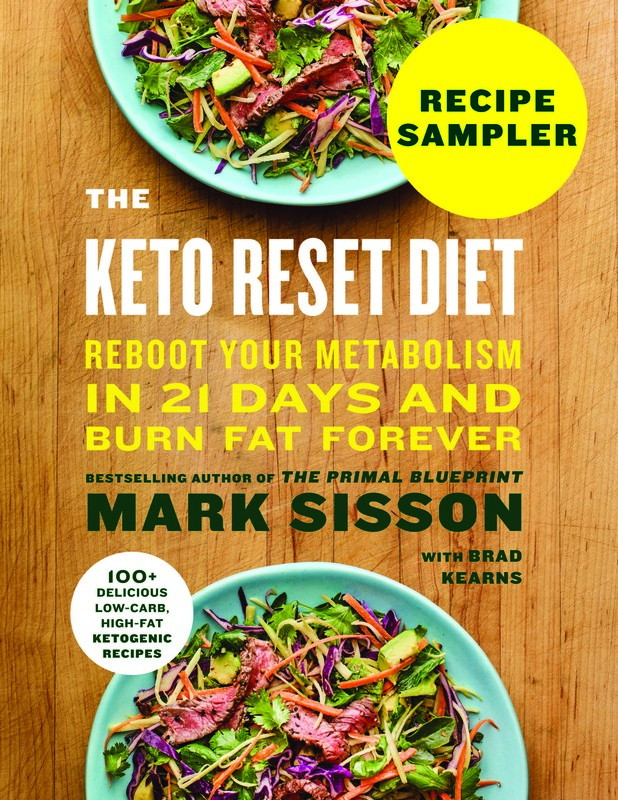 If you are willing to compromise on some of these items check out some of Brendan Brazier’s books, he is a vegan triathlete who has some great recipes. Far from primal in many cases though. I like his Vega whole foods optimizer in a smoothie for those rushed days. Vegans, though. Man. With the exception of one very lean and strong woman, all the vegans I know or have known are fat, even if they’re not of the potato chip variety. I STRONGLY disagree with Mark’s assertion that “whole coconut isn’t a miracle, magic food.” If you’ll go to the Coconut Research Center dot org and read every word on just the front page you may become convinced that not only is coconut a real miracle food but it is also in the category of a super food, almost complete and perfect nutritionally in almost every way. Coconut water is so perfect as a blood and serum replacement fluid that it is possible to plug an I.V. line into a young fresh ripe coconut and directly transfuse the coconut water into injured or critically dehydrated people and accident victims with no negative effects. From cocotap dot com: “The electrolyte profile of coconut water is somewhat similar to human plasma and for that reason it has been used by doctors as an intravenous solution and injected directly into the bloodstream to prevent dehydration. When freshly extracted from the coconut, this liquid is free from germs and parasites. Doctors working in tropical climates have often used the water from coconuts as IV solutions, a common practice during world war 2 and in Vietnam where commercial IV solutions were often in short supply. * Water from unopened coconut is uncontaminated by bacteria, fungi, or other pathogens. Therefore, if properly prepared, it cancan be given intravenously without fear of introducing microorganisms. Recent research on the use of coconut water as an intravenous fluid has shown it to compare favorable with commercial solutions. * Coconut water does not harm red blood cells, is non-allergenic, and is readily accepted by the body. It is considered a safe and useful means of rehydration, particularly when a patient suffers from a potassium deficiency. * In fact, coconut water has been shown to be just as effective as commercial electrolyte solutions in prolonging survival times in sick patients. * Researchers have demonstrated that coconut water can be given through intravenous infusion by as much as one fourth to one third of the patients body weight without complications. And that’s just the water! Coconut oil is anti fungal, anti microbial, anti bacterial and is powerfully anti viral and can kill any lipid enveloped virus including many virulent strains of flu virii and has and is being used to successfully cause a complete cure for the AIDS virus. Just a little Google searching about “coconut water as IV” will convince you that coconut IS in fact a super food if not also a true miracle food. That can’t be right, According to the World Health Organization, in 2002 total deaths in the Phillippines for all ages was 448,000. 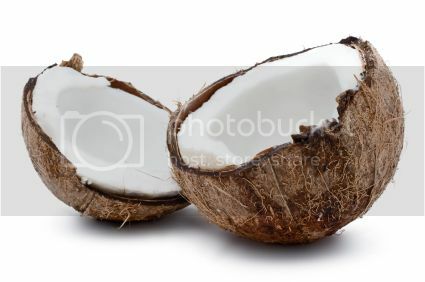 Very intersting thing about coconuts! I can’t wait to get my braces off so I can chew some coconut again. I keep my coconut oil in the fridge. When I want a spoonful to eat, I’ll dig it out of the jar, add a dark chocolate chip or two and a couple of whole almonds. Almond joy. Or, mix coconut oil with cocoa powder and ground nuts or you could even do a little dried fruit. Make into a ball, this is very messy BTW. Freeze these on a cookie sheet. Eat frozen or let them soften a little. Cold coconut oil is much easier to eat than warm. You don’t get that oily sensation in your mouth. I’ve been having similar hunger issues, only I’m not an athlete – I’m nursing a 9 month old who eats relatively little solid food (tons of variety, but very little in volume compared to his peers). They say breastfeeding burns 500 calories a day, and I would venture a guess that my number is even more than that, since I’m sustaining 95% of the nutritional needs of an older baby. Same as Brady, I would have no problem at all eating a dozen eggs in a day or an entire jar of almond butter. I like the fat off my plate when I’m done, finish my husband’s leftovers, and usually eat something in the middle of the night. I wonder if I have room to bump up the carbs a bit as well…right now I eat tons of protein and fat, hoards of vegetables, and a moderate amount of fruit (maybe 2 servings a day). But I’m not very active (nothing really beyond the physical demands of keeping up with a 9 month old)…so if I’m not depleting the glycogen in my muscles, would extra carbs only do harm? Or does my revved up metabolism take care of that? The body’s need for glucose is satisfied in the absence of dietary carbs by draining the liver, which can hold perhaps 100-120g of glycogen, and by gluconeogenesis. However, it’s difficult to make large amounts of glucose this way, which is why many athletes opt for a periodic carb refeed. Since your glucose needs are sharply elevated from nursing a baby, I think more dietary carbs would be a good idea. Perhaps not in huge amounts every day, overflowing your liver’s capacity to store them, but certainly more than usual. Pregnancy and breastfeeding are good times to ride a little higher on Mark’s carbohydrate curve, in the 100-150g/day range from fruits and starch, in my personal opinion. Ah, thanks! Time to throw some more yams in the mix and see how I feel! I just had a sweet potato today, yum. Went out for lunch and had buttered salmon with pecans and vegetables. So good! Do your kids watch carbs too, Mark? how about colloidal minerials? how about a variety of organic veggies? why subject yourself to something that taste bad? there are many other ways to get your minerals. and of course Himalayan rock salt, it taste good. Although the reader who has problems with coconut oil did not say it directly, I got the sense that she is using it as a supplement and eating it directly (maybe on an empty stomach?). While Mark’s proposed solution certainly is an option, I would propose another which is to just see coconut oil as an ingredient in cooking rather than as a supplement. When you saute or stir-fry vegetables, use coconut oil; eggs? cook them in coconut oil. eating potatoes or taro? add some butter and coconut to moisten them. Etc. etc. Some people say that coconut oil’s taste is too strong. I have found that over time, it fades into the background. Bottom line: consider using it as a cooking oil in moderation over the course of a day instead of shoving tablespoon’s worth of it down your throat as a “supplement”. And they didn’t say what kind of coconut oil. Here is my experience: I tried like 10 different kinds of coconut oil from local stores, most were great to good. So I bought the Tropical Traditions Gold Label Coconut oil (Gallon!) thinking it would be great quality for eating! It turns out that Im having trouble with it, I can barely eat it off the spoon, and if I do I feel queasy. All I got to do is open the container and my body starts to gag as soon as I smell it. My mom, friend, and kids have NO problems with it at all, its not bad. I’ve since read that this has been a problem with some people, easily remedied by using a lesser quality coconut oil. I went over my moms and was able to enjoy some of her coconut oil. I want to point out that I see that Mark said that his son is a lacto-ovo vegetarian, not a dedicated vegetarian. Was that an edit? It makes a huge difference in nutrition! Yes, you’re right – it does seem to be an edit for the purpose of giving us more information. In reply to Jane’s case of plantar fasciitis, I had a severe case in my right foot before going primal and barefooting. Several years ago when I first started dealing with plantar fasciitis, I used the night boot, and stopped doing most forms of exercise as I thought my walking/running/hiking was the cause. The pain didn’t go away at all, it actually worsened due to the lack of exercise and inactivity. I remember some days the pain was so bad I couldn’t even walk! I was determined to fix the problem and started walking and hiking again. I used athletes tape to properly support the fascia and that helped a lot. I finally found the best stretch therapy for the fascia was to stand on the foot and stretch the calf muscles and lift the toes as hard as I could. I did this stretch as much as I could throughout the day, hundreds of times. Then, last but not least, I found Mark’s website in April of 2010 and started eating primal and barefooting with five fingers. I lost a bunch of weight, and my foot strengthened and the pain slowly started going away. 2.5 years later, I have ZERO plantar fasciitis symptoms and enjoy my sprints, walks, and speedy trail hikes/runs pain free! Rob, can you better describe this stretch when you say lift your toes?. Do you mean getting up on your tiptoes like in ballet, or leaving your feet on the ground, but trying to lift your toes off the floor? Peter, standing position, I would place the foot with PF flat on the floor slightly behind me with my other leg & foot placed forward enough to stretch the calf muscle. Then lean into the good foot & leg as much as you can. Then I would lift all the toes as hard as I could while keeping the foot flat and the calf muscles stretched. Pain relief was almost instantaneous and the persistent pain went away after 5 months. Regarding the PF question, if you were in VFF’s, you weren’t actually barefoot. For PF, you may want to try being actually barefoot. Walking at first, at home, in the driveway, sidewalks, neighborhood or city streets just a little at a time. Even a shoe as minimalist as VFF can change your gait, so practicing completely barefoot can help a lot. I suffered from PF for about a year – could barely walk in the mornings, and had to give up walking for exercise. I tried the boot, PF supports, ice packs several times a day, you name it, I tried it. My cousin recommended Orthaheel products found at FootSmart.com. Stretching my calf muscle and achilles tendon (especially just before bed), and wearing Orthaheel flip-flops had me pain free in just a few weeks! I don’t know if you can find it in the U.S., but here in Holland we eat “Zeekraal”. A sort of seaweed that grows in shallow coastal water of the North Sea and it is chock full of seawater minerals. It goes great with all types of fish. We warm it up in a pan with coconut oil and a little fresh garlic and lemon juice. As far as trace minerals from sea water go, you can easily supplement your diet with unstripped sea salt. It’s a bit more expensive, but does contain a ton of trace minerals. It doesn’t look very pretty and sometimes you taste a bit of a sand-like texture in your food, but overall it doesn’t taste different from regular sea salt. Plantar fasciitis, as many people stated, can be caused by tightness in the gastrocs/soleus. Trigger points in these muscles can cause chronic Achilles tendonitis and/or PF. As a physical therapist, I utilize Trigger Point Dry Needling to treat this problem with good success. It really addresses the cause of the problem, and not just the symptoms. Usually several treatments can eliminate the problem, even in the chronic stage. Then, the other treatment methods (stretching and strengthening) are much more well received by the body. I spearfish regulaly, and do you know what i caught two fish doing one day? Lets just say i’m never drinking sea water again! I had plantar fasciitis and my chiropractor was able to fix it in one appointment. He uses the activator method. You can google and find an activator chiropractor near you in case you can not find relief with the other methods. For PF, another really good stretch to do is, from a sitting position, straighten your leg out in front of you, and pull your toes back toward your knee. Using muscles only – no helping with your hands. Hold for 20 seconds (or as long as you can stand it – it can hurt like Jiminy to begin with), release. Repeat. It helps stretch the calf muscles, and you can do it anywhere – at your desk, in the car, at the dinner table, on the bus, anywhere with enough leg room. I did this at least 20-30 times a day, among other things, and it really helped.